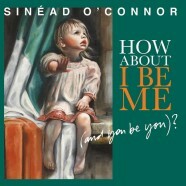 Ever colourful and controversial, Sinead O’Connor returns with her ninth album, followingher Twitter pleas for a partner, the marriage to a drug counsellor that was almost scuppered by a wedding-night attempt to score weed, and contemplations of suicide. Business as usual then – although the songs address love, hypocrisy and parenthood to surprisingly breezy, even humourous effect, that unscathed stark, crystal voice notwithstanding. The sublime Reason With Me sees her adopt the character of a junkie pleading for redemption, but the album’s most startling moments come when the 45-year-old lays herself wide open.Take Off Your Shoes lambasts the Catholic church paedophilia scandal with scathing vigour (“I bleed the blood of Jesus over you”). Very Far from Home is a serene, touching confession of vulnerability. Elsewhere, V.I.P. skewers celebrity culture, materialism, MTV and (surely) Bono in one mighty, pious rage; Old Lady is pure pop, and John Grant’s savagely funny Queen of Denmark could have been written for her. The album is a tuneful emotional rollercoaster, and it’s thrilling to hear such vitriol and indignation – qualities in short supply in current pop.